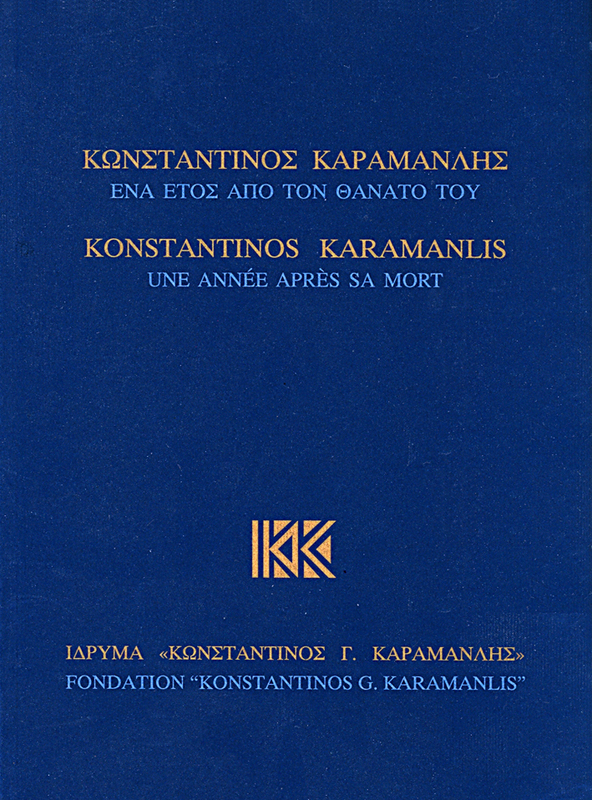 Basic parameter of the Foundation activities is publishing, the core of which is the 12-volume edition “Konstantinos Karamanlis: Archive, Events & Texts”. The project was the product of long research, based on the use of archival material. 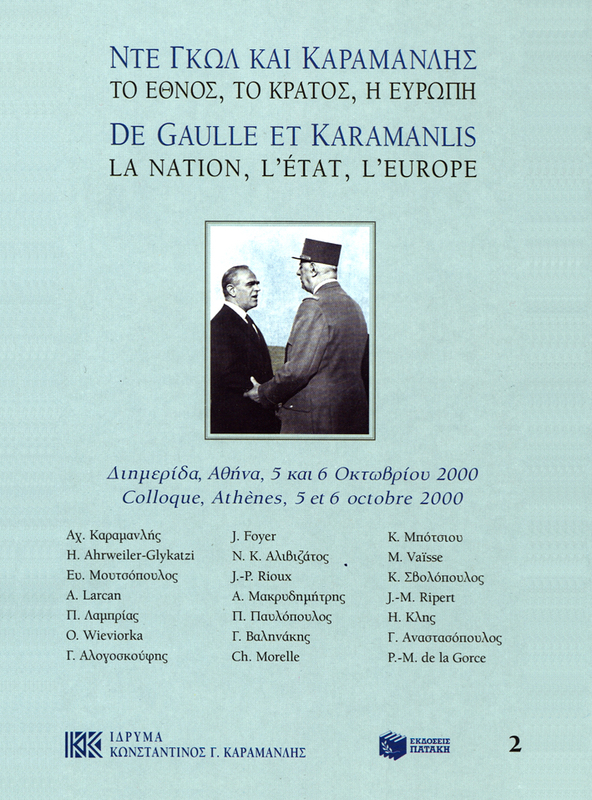 This is a chronological record of the presence of Karamanlis in public life, based on his personal archive, Greek and International daily press, Parliamentary Proceedings as well as from every valid contemporary testimony, with extensive references to all aspects of public life: foreign policy, economy, agriculture, public works, social policy, civil administration, education and culture. 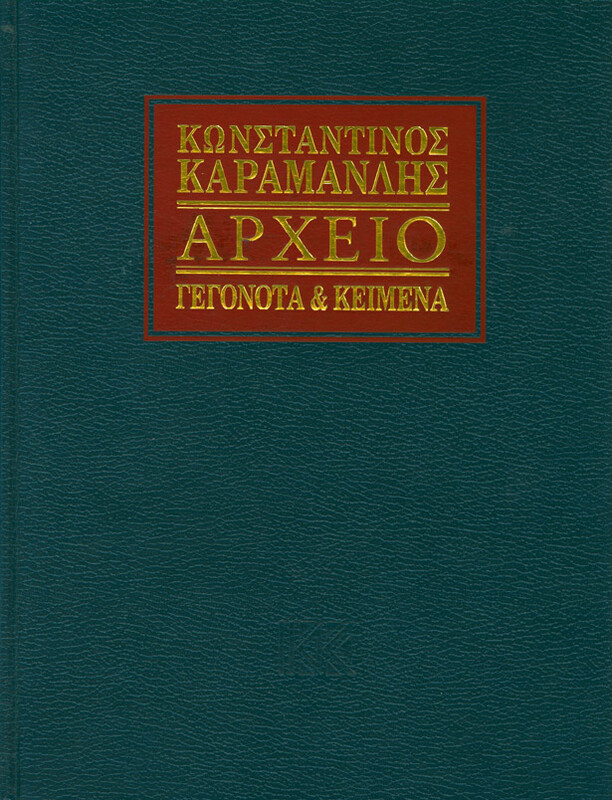 This material published is disencumbered from critical judgments, in order to maintain its status as a foundamental source for modern Greek history. 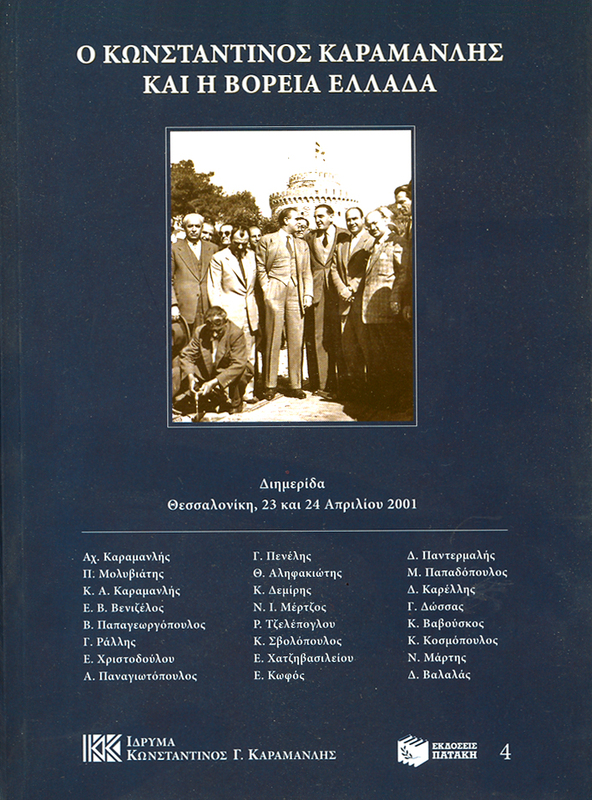 Equally Important was the publication of the Proceedings of the International Scientific Conference in Zappeio Megaro on June 5-9, 2007, on the occasion of the 100 years from K. Karamanlis’ birth. 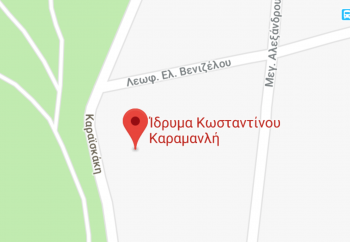 More than 150 Greek and foreign scientists highlighted every aspect of Karamanlis’ work and, through it, Greece’s progress during the last 50 years. 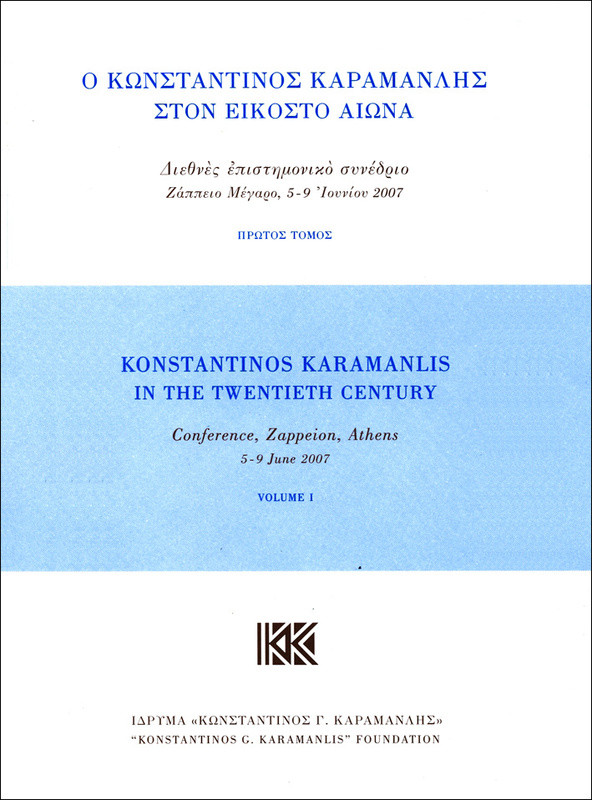 The Proceedings were published in three thematically distinct volumes: Volume A contains treatises about K. Karamanlis’ work on institutions and the establishment of a democratic political system. Volume B focuses on Greece’s international relations and foreign policy, and Volume C on the economy, social policies and culture. Anniversary Edition, which includes speeches by Konstantinos Stephanopoulos of Valery Giscard D’ Estaing, and Francesco Cossiga. Proceedings of the two-day conference, including 19 speeches and treatises by expert scientists and politicians concerning K. Karamanlis’ vision and statesmanship that made Greece an organic part of the European Union and a key factor in the Balkan regional framework. Proceedings of the two-day conference, including 20 treatises by expert scientists who examine, at the same time, the work of the two leaders in their respective countries, their personal relationship and their nations’ role in the European unification process. 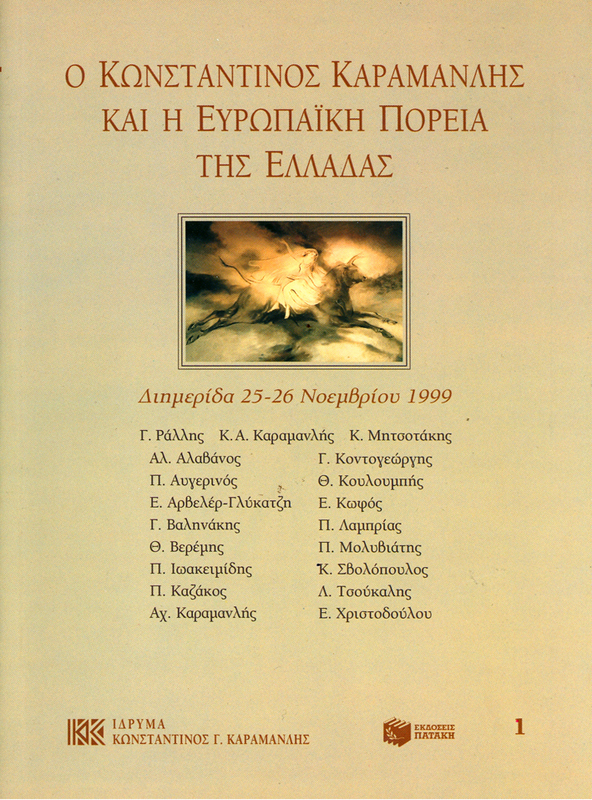 Proceedings of the two-day conference, including 24 speeches and treatises by expert scientists and politicians concerning K. Karamanlis’ work in Northern Greece, his place of descent, in the fields of economy, education, and culture, the region’s status in the international scene, as well as its safeguard against external dangers. 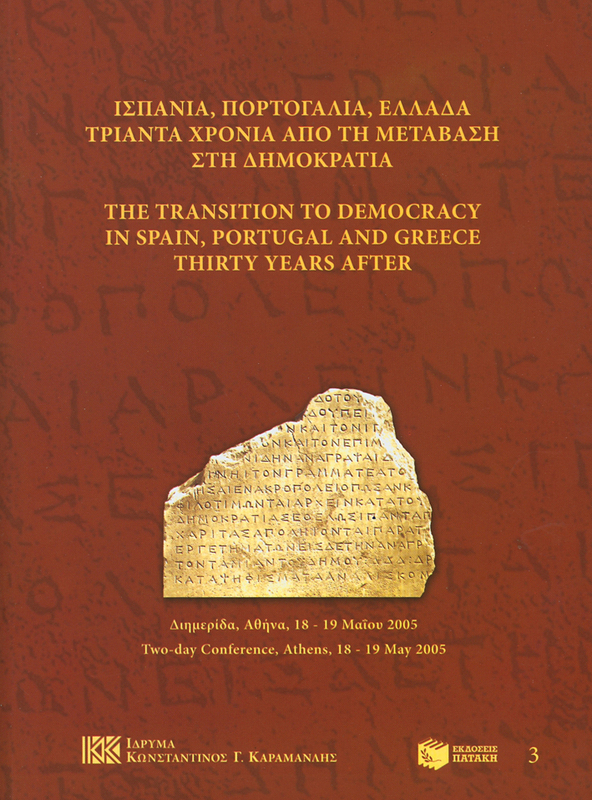 Proceedings of the two-day conference, including treatises by 11 expert scientists and politicians, eyewitnesses of events in the three countries, referring to the political dimension and institutional context of the transition of those three countries to Democracy, as well as Europe’s role and their prospects of integration into the European structure in order to restore their democratic regime. 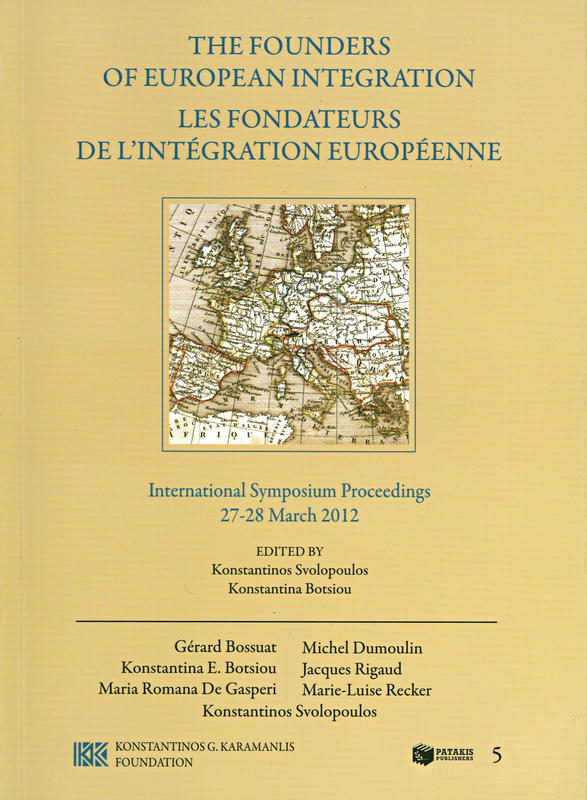 This publication presents the proceedings of the two-day international conference whose central theme was the vision and the strategy of the founding fathers of a new Europe in the aftermath of the Second World War, as they managed to overcome centuries-old national rivalries, in order to build a united Europe which constitutes one of the greatest contemporary achievements internationally. 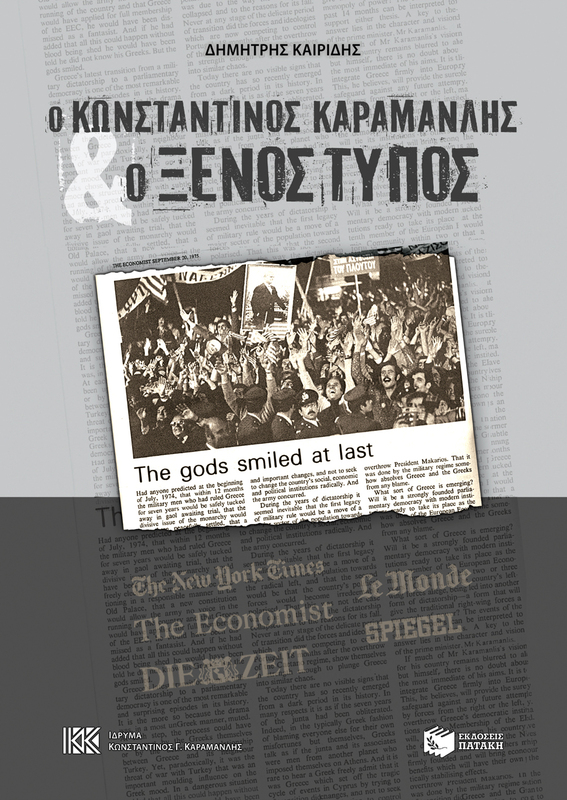 This is an original study by Dimitris Keridis that presents, reviews and analyzes the trajectory and the work of Constantine Karamanlis through the correspondences of the foreign press. 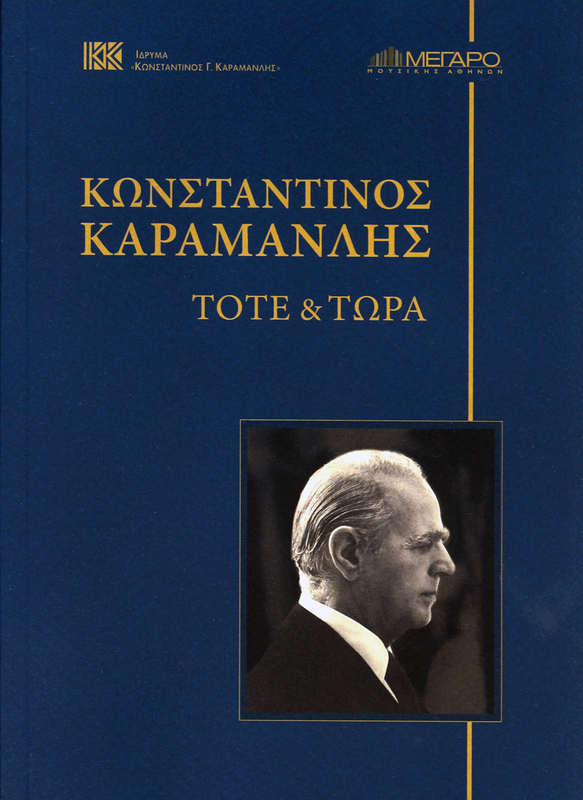 Reports by the international press and eminent people from around the globe concerning K. Karamanlis’ character and work are recorded, and abundant photographic material from his career as Prime Minister and President of the Republic is included. 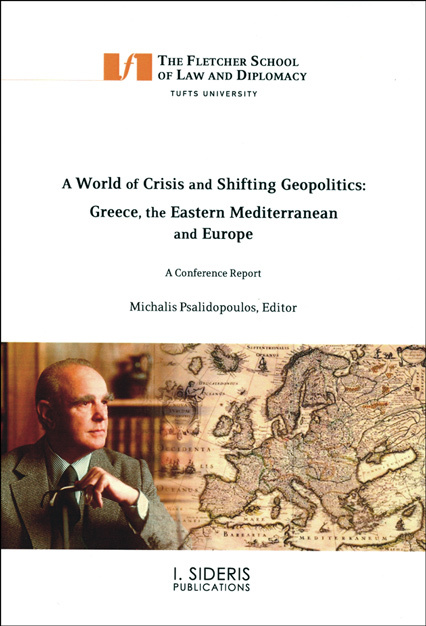 This publication includes 15 speeches delivered on an international conference, whose purpose was to analyze and discuss the recent momentous developments in and around Greece, including the ongoing economic crisis. 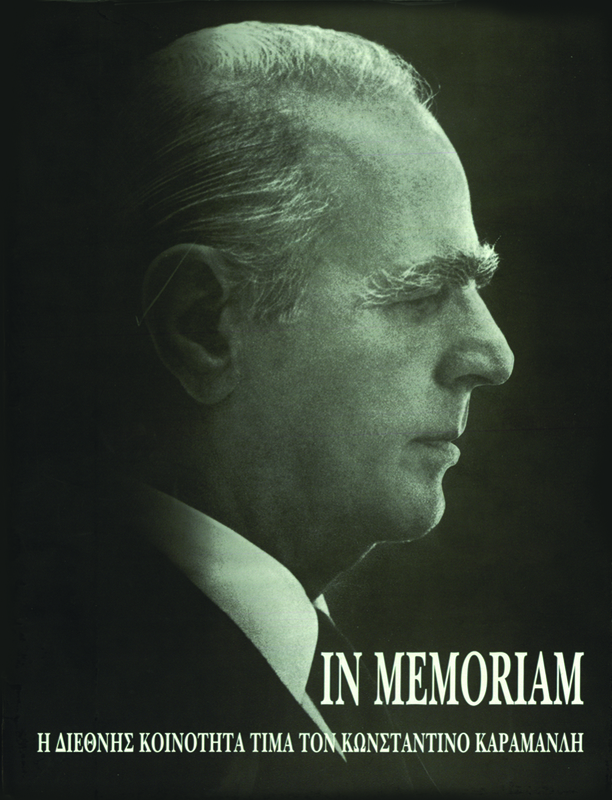 This collection includes all the speeches delivered on the occasion of the commemoration of the 15 th anniversary of the passing away of Konstantinos Karamanlis, which took place at Athens Concert Hall on March 6th, 2013. 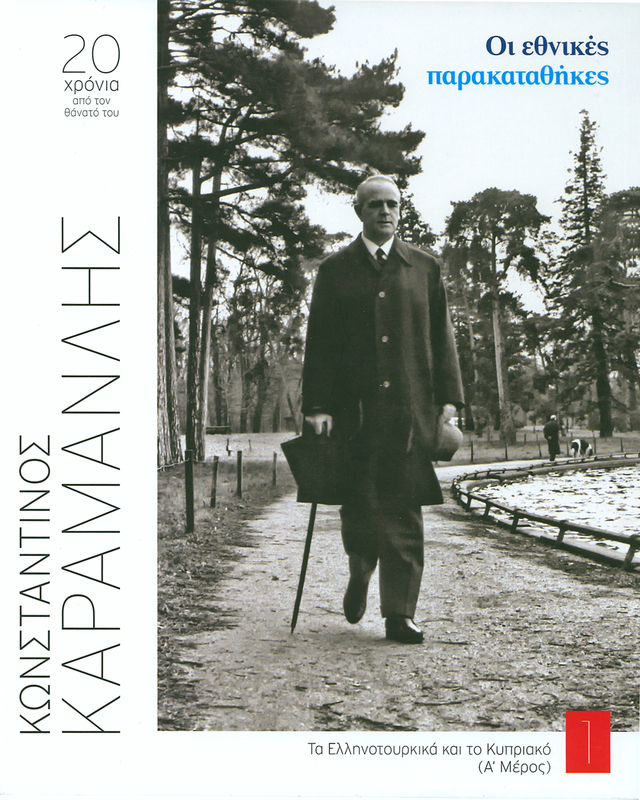 Based on the 12-volume edition entitled “Konstantinos Karamanlis: Archive, Events & Texts”, this book analyzes six major themes of the work of Konstantinos Karamanlis as Prime Minister and President of the Hellenic Republic.